Before she became a Pulitzer-winning author, a twenty-something Eudora Welty took a job with the Works Project Administration as a photographer, traveling through the nation’s blemished backroads, chronicling the economic horror of the Great Depression through everyday images. In fact, a few years ago, a retrospective entitled Passionate Observer was launched to present this portion of Welty’s life. Similarly, Canadian Paul Hayden Desser spent the '90s detailing bleak relationships and emotional overcompensation on a series of 4-track tapes and self-releases. In the cyber pre-dawn, no less, his music found an audience and even prospered. Now, several years and five albums later, Hayden has, in Welty terms, dropped the camera and picked up the pen. 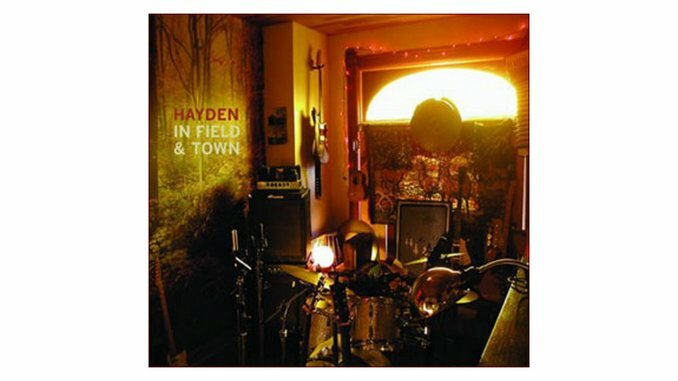 In Field & Town is a superb collection of vibrant—if sometimes surprisingly upbeat—songs that still resonate with what Hayden, a fellow passionate observer, does best: weave dizzyingly personal stories across everyday motifs. For example, “Lonely Security Guard” is a pleasant piano ballad about a daytime watchman obsessed with something as mundane as origami. Much of the record recalls the best from A Ghost is Born-era Wilco, where erratic, distorted guitars shriek over gentle piano melodies (“Did I Wake Up Beside You?”) and prodding mid-tempo bass lines (“Where and When”), guided by a Neil Young-esque falsetto. It’s all the more impressive knowing that Hayden himself provides most of the instrumentation on the album, aside from some help from fellow Canadian child of the '90s, Howie Beck. While In Field & Town has certain moments of cruise control, it’s of the breezy, carefree variety. This merely serves to add a certain texture to an indispensable work from a singer-songwriter who merits more attention than he receives.